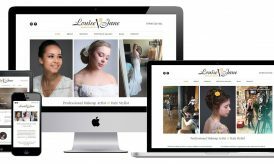 Project Brief: Louise Jane Makeup Artist is a professional makeup artist and hair stylist. 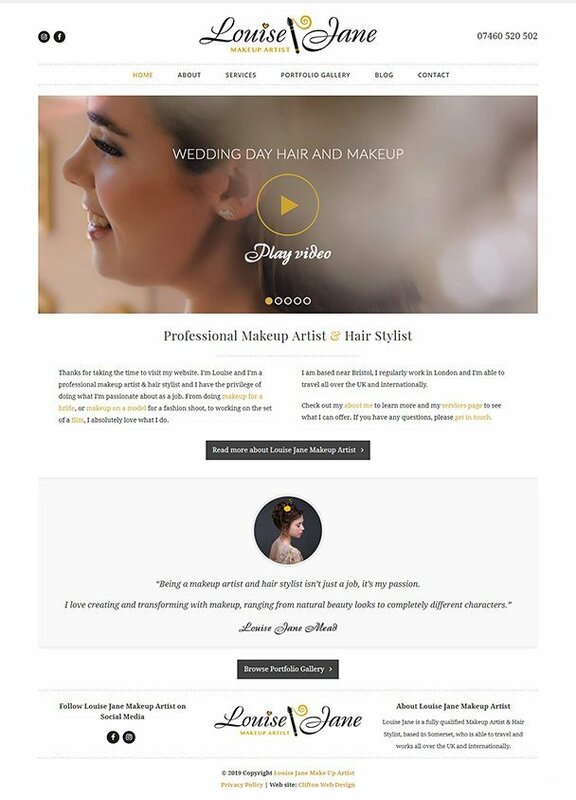 She is based in Somerset and provides bridal hair and makeup, and also works in film and TV. 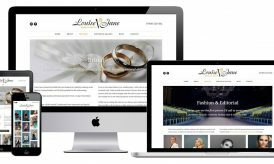 She required an elegant and classy website to showcase the wide ranging aspects of her business. Project Outcome: We designed a stylish and crisp website, based around elegant typography and high quality photos. The website is fully responsive so it displays beautifully on all devices from laptops to tablets and smartphones.